wie zum Beispiel die Stoffe Pepita, Pascha und das Garbadine Karo aus dem 300 SLR. 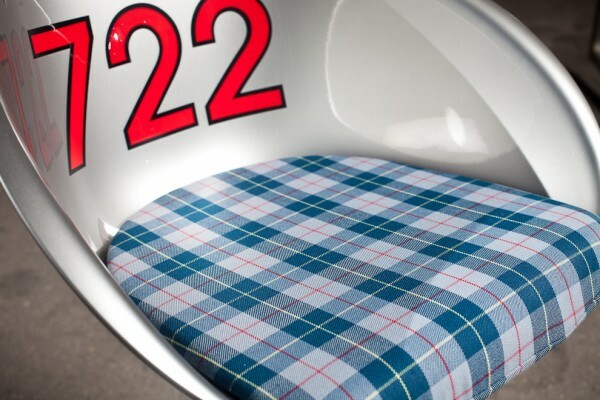 Seat cushions for our motorsport chairs made from original materials of the automobile manufacturers, such as the fabrics Pepita, Pascha and the Garbadine Karo from the 300 SLR. Side panels in real leather. Here only a small selection of the available classic original fabrics, further materials for different models make it possible for us to meet each individual customer wish. Weiterführende Links zu "Sitzkissen mit original Automobilstoffen"